Every baby and young child deserves to have the support that he or she needs to grow and learn. For nearly two decades, First 5 San Francisco has invested in San Francisco’s youngest children, their families, and the providers who work on their behalf. 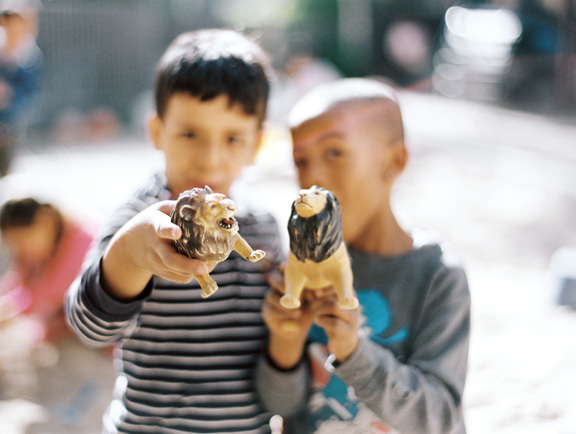 First 5 San Francisco receives local and state funds that it invests back into the community through more than 200 community grant programs dedicated to the well-being of children and families. Our initiatives increase access to and raise the quality of valuable services in our focus areas: family support, child development, and child health. We focus on strength-based equity-focused programs that build on families’ abilities and meet their greatest needs. We also prioritize programs and services that are backed by solid research and evaluation. The mission of First 5 San Francisco is to advance a shared commitment to support young children, from birth to five, and their families with abundant opportunities to be healthy, to learn, and to grow. All children, birth to five, will be safe, healthy, and thrive in supportive, nurturing, and loving families and communities. They will start school eager to learn and grow with confidence and connections to families, community, and society. First 5 San Francisco was created in 1998 through the passage of Proposition 10, which established a tax of fifty cents on every tobacco product sold across California. Nearly $500 million in annual revenue comes from this tax. This revenue is distributed to First 5 California to support statewide education and outreach programs, and to First 5 Commissions in each county for local programs. County commissions are funded in proportion to their regional birth rate. First 5 San Francisco receives approximately $6 million annually in Proposition 10 funds. First 5 San Francisco invests this revenue in programs and systems that directly affect young children and their families. For the past twenty years, we have launched and led ambitious initiatives that have fundamentally transformed the system of support for babies, young children, and their families. As we move into our third decade, we look forward to building upon our success to create innovative new strategies that help San Francisco’s youngest children thrive. There is no better time than now to build a better future for children and families in San Francisco.